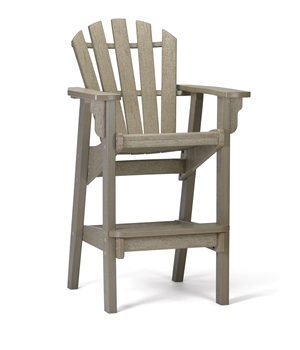 Breezesta Coastal Bar Chair measures 50" h x 29" d x 28" w (55 lbs). Seat height: 30"
The Bar Collection is our highest-reaching line of tables and chairs with a table height of 41". We offer the Bar table in three sizes from 36" round up to 42" square with seating from 3 to 4 people. The two largest sizes include an umbrella hole standard. 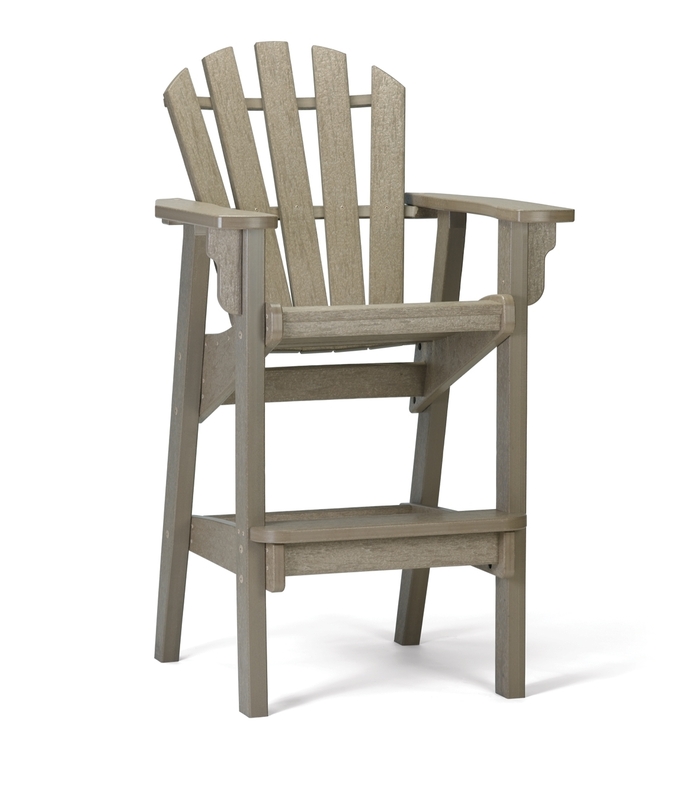 Seating options include the Bar Captain's chair available in Ridgeline, Horizon or Skyline style as well as two stools and our new Coastal Bar Adirondack chair. Each piece is available in all 20 colors. You can also create multi-color items for a one-of-a-kind style statement.